So this party feature is a personal one….Today I’m sharing my son Karsin’s first birthday! I have to tell you that this past year has FLOWN by! everyone always says to enjoy every moment, they grow so quick…and gosh, isn’t that the truth! I thought about what kind of a theme would be fun and I came across a really cute dinosaur printable set, so decided to go with it as our theme. This meant a lot of printing and assembling – but it was totally worth it. For the dessert table – we had cupcakes, kettle corn, cookies, cookies, more cookies, and a cake! For the cupcakes – I made half of them chocolate and the other half vanilla. I used tall brown cupcake liners which turned out really great because I wanted the cupcakes to have a bit more “cake”, but still was able to use my standard cupcake pans. For the frosting, I used Glory’s Cream Cheese Frosting Recipe. I have to say…it is a GREAT recipe. It looks fantastic when you pipe it and it tastes even better. For the cookies – Norma from Deliciously Divine made personalized cookies with Karsin’s name and dinosaur footprints. Norma even matched the different colors in the birthday theme – so sweet! I also ordered some Stegasaurus and T-rex cookies from Lacy @ Guilty Confections. I also packaged up some oreo’s in small treat bags. The kettlecorn was from the local farmers market & was served up in blue striped & lime green striped popcorn boxes. 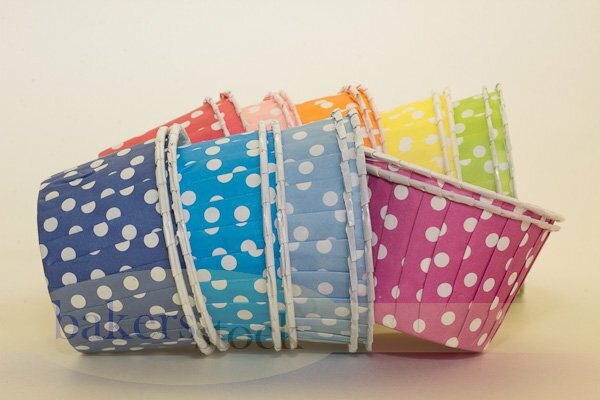 For the cake – I decided to keep it simple and adorned the front with blue fondant letters that spelled Karsin and I created a small bunting banner using some of our blue stripe party straws to tie back to the theme and colors. And on the back of the frame, I had the quote: “RAWR means I love you in dinosaur”. I used small party favor bags to hold some other small goodies & they looked perfect next to the dinosaur frames. I was super happy with the way it turned out and it was really great having our friends and family with us to celebrate! We make them for different reasons…for a birthday celebration, holiday party, to share with family and friends or just for fun. No matter the reason… baking, frosting and decorating cupcakes can be lots of fun! There are so many possibilities when choosing cupcake flavors, frosting types and decorating ideas. 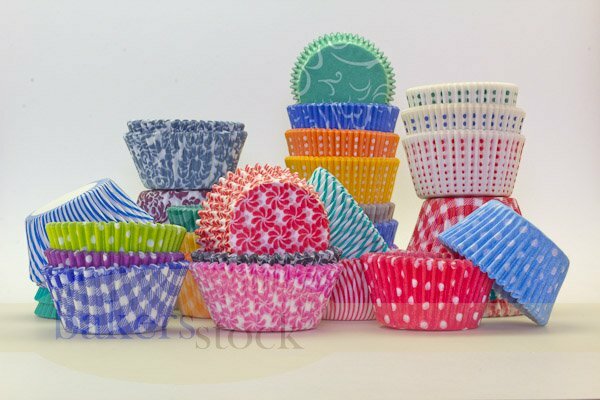 Oh yes, one must not forget the decision as to what cupcake liner to use and oh my, what choices we have these days! Autumn is in full swing, so I chose to make Pumpkin Cupcakes with Cream Cheese Frosting just for fun. Sift together all dry ingredients, including sugar. Make a well in dry ingredients and add remaining ingredients. Pour batter into cupcake liners, filling each half full. 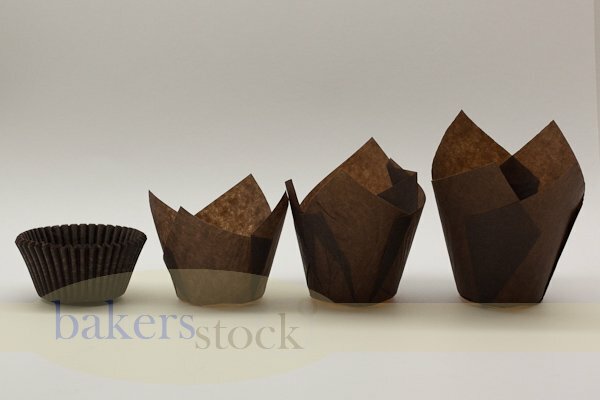 The cupcake liner of choice was brown greaseproof cupcake liners. Bake in 350-degree oven for 20-22 minutes or until cake tester inserted in center of cake comes out clean. Place cupcakes on cooling rack to cool until time to frost. Whisk together the cream cheese, butter and vanilla extract until light and fluffy. Add the powdered sugar and whisk until smooth. Using a mixer, beat on mixture on low speed until frosting is smooth, approximately two minutes. Chill for at least one hour before frosting cupcakes. Candy Corn and mellowcrème pumpkins take up space in our candy jar this time of year. My grandchildren expect to find them and usually take a baggie full home each time they visit. The other candy topping is an Orange Twist from See’s Candies, which was a fun find recently.